Welcome to the 92nd episode of Motorz! In this episode (S07E08), Chris Duke completes the exterior modifications of a 2000 Ford Ranger 4×4 6.0L V6. Starting with new Hostile Wheels wrapped with Interco tires, he continues on to install new front and rear bumpers from Iron Bull Bumpers, along with a Superwinch Talon winch. New headlights and tail lights replace the old thanks to Spyder Auto, and a new grille from Paramount Automotive adds a nice finishing touch to the front end. 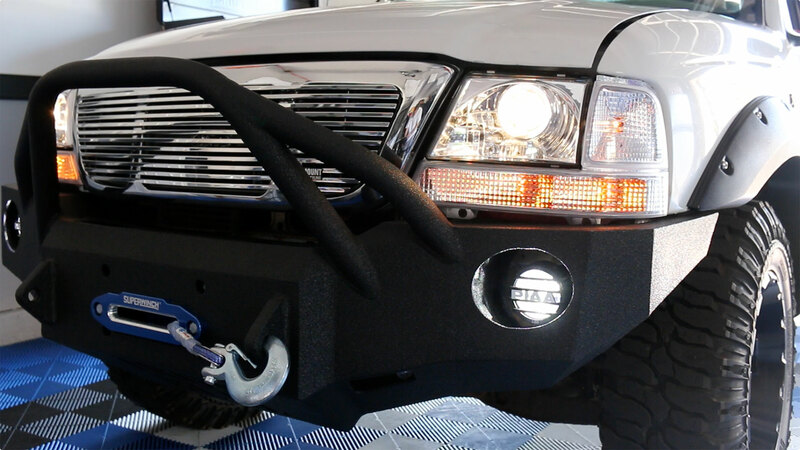 The bumpers get some additional illumination thanks to PIAA, and then Chris sprays some rattle-can bedliner on the lower third of the truck before installing new fender flares from Bushwacker. Then Alan Taylor heads to southern Utah to test drive the 2017 Land Rover Discovery and play in the dunes. What a machine! In Partz, Chris blasts through rust with PB B’laster. Chris then answers the first audio letter from Tyler Ross. Learn how to send in your letter by going to www.motorz.tv/letterz!